Denver Bed Bug Detection: Traveling? Know the Warning Signs of Bed Bugs! 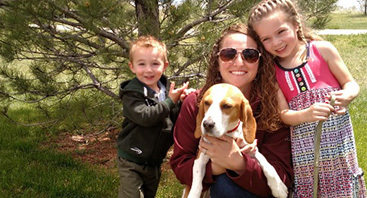 Spring has finally arrived in Northern Colorado, and many of us will soon begin making travel plans for the summer. Nothing beats a much-needed vacation to get some much-needed rest and relaxation. Inevitably, some travelers will find that they have picked up some unwelcome companions during their travels, and many will have the unfortunate experience of dealing with a bed bug infestation. 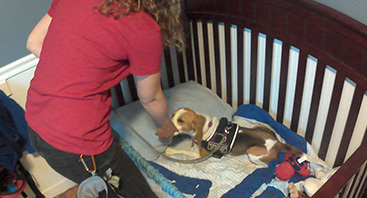 At Advanced K9 Bed Bug Seekers, we provide the Denver area with Top Rated Local® bed bug detection services and we would be more than happy to perform an inspection of your home with our specially trained bed bug dog, Tracker. Call us at 720-251-2665 today or schedule your appointment online. In the meantime, check out some common public nesting places and warning signs of bed bugs. Taxis, buses, and trains. 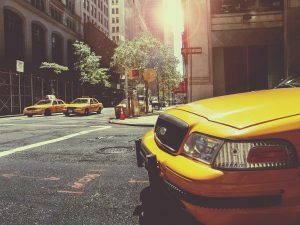 Many people will unsuspectingly pick up bed bugs from commercial transportation. Not even rental cars are immune from infestations. Hotels and hostels. Bed bugs prefer to nest near their food source, and with constant occupants, hotel rooms provide an unending supply of hosts. Movie theaters and commercial businesses. Large amounts of people frequent these types of establishments, providing the perfect environment for transferring bed bugs. Additionally, bed bug infestations have also been discovered in churches, nursing homes and hospitals, and even retail clothing stores. As you can see, bed bugs are not just a threat to residential properties. Many travelers may fear that they have been exposed to these pests and find themselves searching online for information on the warning signs of bed bugs. Check out the signs below. Bed bugs feed on blood, and they defecate almost immediately once they are done feeding. If you notice small circular stains or small blood smears on beds and linens, there is a high probability of an infestation. Before they reach adulthood, bed bugs go through five different stages of development. As they transition through each stage, they shed their cuticle, or casing. The more advanced the infestation, the more casings you are likely to see near their nesting spots. Bed bug infestations produce a very distinct odor that is caused by a pheromone that the pests release. In cases of severe bed bug infestations, the odor will be stronger because the bugs are more numerous. Some have described the odor as a nutty smell or rotten raspberry smell while others compare it to a dirty towel smell. Finally, if you begin to discover bug bites from an unknown source along with the other common warning signs, the likelihood of an infestation is high. Bed bug bites are usually red with a dark red center, and swelling if often present and are usually located on areas of exposed skin like your arms, feet, legs, hands, and face. 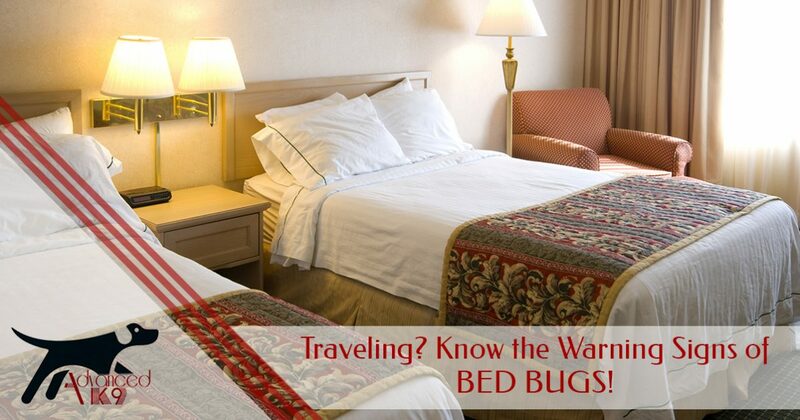 If you have recently traveled and discovered the above warning signs of bed bugs, it is important to contact a local bed bug detection company as soon as possible. The earlier an infestation is discovered, the easier it will be to treat. Contact our team today to get started!